Attention MONTAGE Owners: If you purchased a new Mac or upgraded your existing Apple computer to MacOS Mojave you will want to update MONTAGE Connect to version 1.0.5. This version is fully compatitible with Mojave and is available as a free download for all MONTAGE users. Get it HERE! About MONTAGE Connect: MONTAGE Connect is a convenient tool which lets you transfer data between your computer and the MONTAGE. 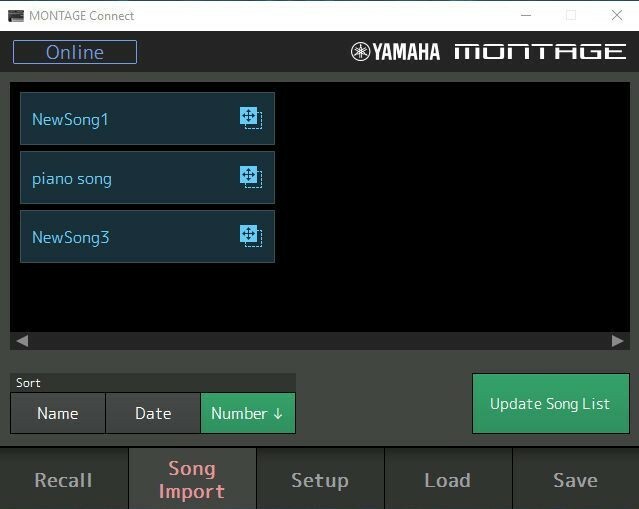 Song data created on the MONTAGE can be transferred to your computer and the Performance data edited on the MONTAGE can be saved as a file (.X7B) on the computer. MONTAGE Connect, based on Steinberg’s VST3 technology, works as a VST3 plug-in with the Cubase series. The MONTAGE Connect also works as the same way as other VST instrument software, allowing you to save the edited settings of the MONTAGE, or use them for another project. For users of AU (Audio Unit) compatible DAWs like Apple Logic, MONTAGE Connect includes an AU Component too.